As though buying gifts for the holidays isn’t difficult enough, the shopping season is shorter than usual this year, with less than four weeks between Thanksgiving and Christmas. That means you have to make the most of your shopping time—shop fast and shop smart. Whether you’re a power shopper who thrills to the hunt, happily prowling the malls and discount stores, or the more laid-back type who prefers shopping online and having everything delivered, there are ways you can make this year’s task easier. In olden days, like a few years ago, you had to run from one store to another in search of the lowest prices and best deals, but now you can comparison shop right from your smartphone, provide you have the right apps. Here are a few that can help you save money on gifts as well as all the goodies you need to put together a holiday party or family feast. Are you tired of riffling through all those flyers from your local grocery stores, looking for the best prices on the things you need for that big, expensive holiday dinner? This app tells you when items go on sale at the major grocery or drugstore chains. You can also view local sales and coupons, plus get updates on your favorite brands or items. Free for iPhone or Android. Have you ever starting cooking a big holiday meal to discover that you’re missing a main ingredient? You’ll never have that problem again with this free iPhone app, which stores your grocery list, checks off items as you scan them and categorizes them according to aisle in the supermarket. You can even enlist the help of your spouse, partner or roommate by synching your phones to split up the labor. Everyone loves saving with coupons, but many of us lack the patience to go through a big stack of weekly flyers and cut them out. This app lets you use coupons without the paper by giving you the ability to search for the best deals from multiple stores and store them on your phone. 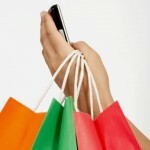 RetailMeNot can also use your location to find better deals at stores nearby. Free for iPhone or Android. Keep track of which gifts you’ve bought, which you still need to buy and how much you have left to spend with this handy app. Have the gift, recipient, date and store, all at your fingertips as you shop. This one will be especially helpful if you have to return some gifts later. Free for iPhone. 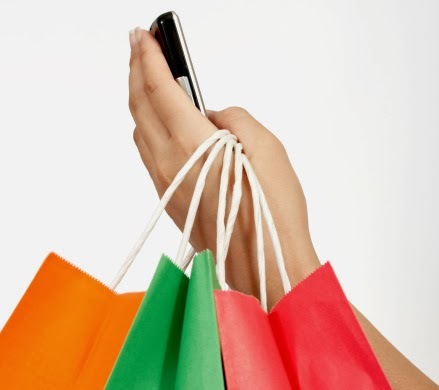 This app can practically do your shopping for you by instantly alerting you to the best deals as soon as you hit the mall. Shopular uses your location to send you coupons for nearby stores. The coupons are updated daily, so you’re always getting the latest deals. Free for iPhone or Android. Amazon’s app is great for comparison shopping, since it lets you search, browse, read customer reviews and get product details on millions of products available from the online seller. If you’re standing in a store the week before Christmas, trying to decide whether to purchase a product now or shop around some more, scan the barcode into Amazon’s app and instantly compare prices and check availability. Can’t find the barcode? Just snap a pic of the item with your smartphone camera and search for it. Get instant access to Deals of the Day, Gold Box Deals and Lightning Deals, then grab your item with one-click ordering. This is a great app for shopping all year long, even if you don’t actually buy from Amazon very often. Free for iPhone or Android. This is another barcode app that lets you instantly see thousands of prices from local and online stores, plus product info and user reviews. If you’re weighing the merits of similar products, this app could help you make a more informed choice. Free for iTunes. This app lets you instantly find the best online coupons and deals from thousands of stores. Save them on your phone for when you need them. If you love coupons, this free app for iPhone can save you time and money. Is your wallet loaded with those loyalty and rewards cards from your favorite stores? Lighten your wallet or purse and have them all in one place with this app that easily scans and stores all of your cards on your Android phone. You’ll never again infuriate the people in line behind you by fumbling for the right card! If you’ve ever found an item in a store and wondered if this was the lowest price available, this app lets you comparison shop from your phone. Just scan the barcode and get prices from thousands of online and B&M retailers, both local and national. RedLaser wins raves from users as being the most accurate barcode scanner, even if your hands get shaky. You can also upload your store loyalty cards so you have them all on your phone. Free for iPhone, Android and Windows phones. Warning—this app is totally addictive! Are you a neo-Luddite who’s frustrated by trying to buy the latest tech products as gifts? If you’re looking for the lowest price on a tech item, this free app for iPhone and Android can help. Use it to compare prices at both local and national stores, plus set up price alerts for products. Use the UPC barcode scanner included in this app to check prices while shopping—and find out instantly if the item is cheaper elsewhere. Most important for the non-techie, BuyVia includes tech jargon and reviews from sources like PCMag. Who says holiday shopping can’t be easy?